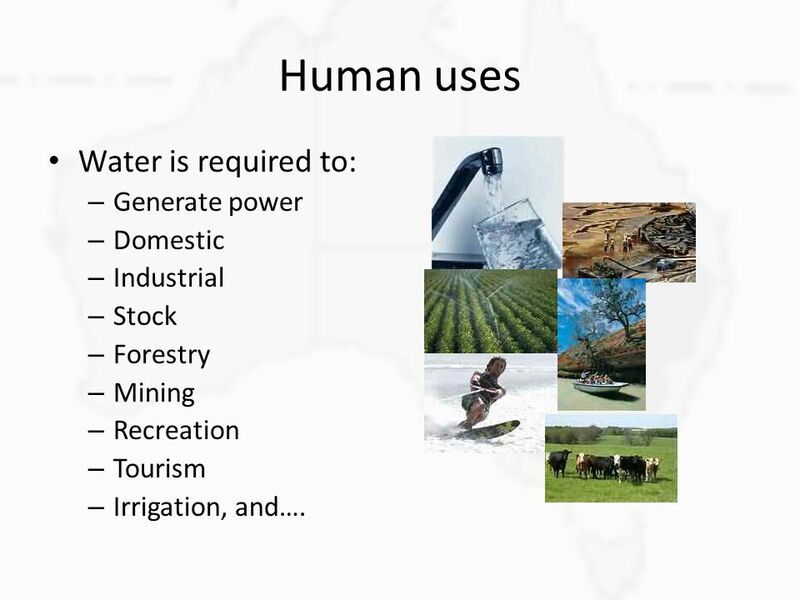 Stock Forestry Mining Recreation Tourism Irrigation, and…. 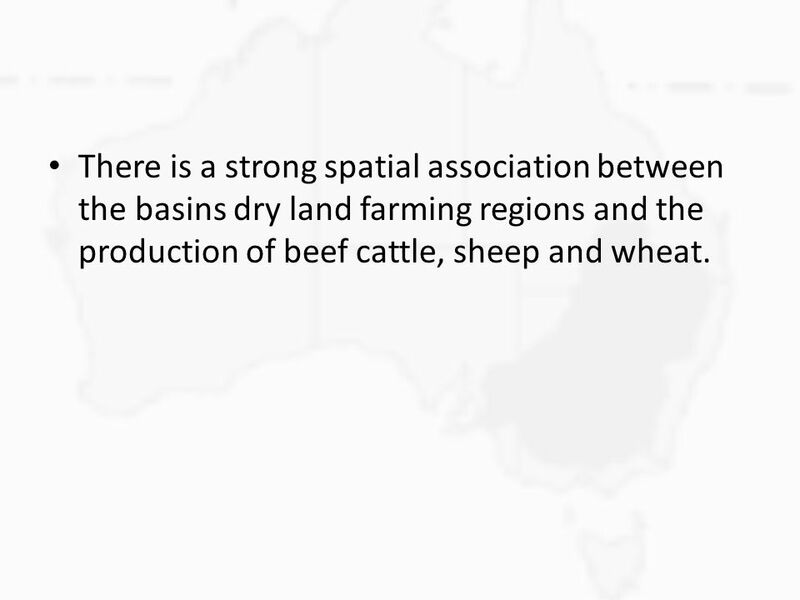 12 There is a strong spatial association between the basins dry land farming regions and the production of beef cattle, sheep and wheat. 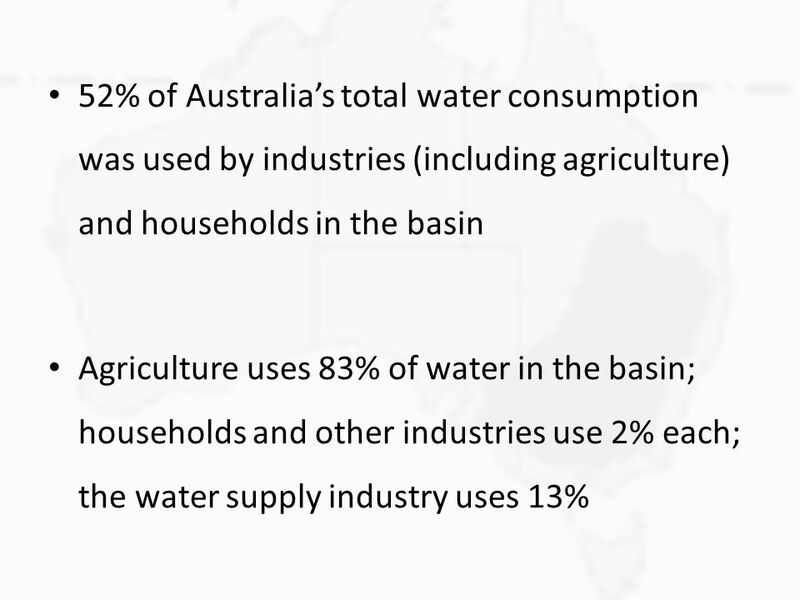 What uses the most water? 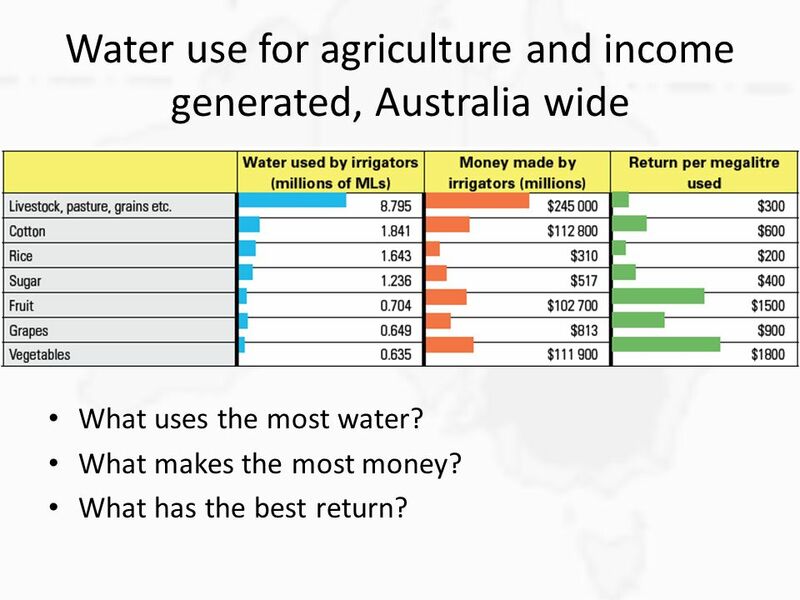 What makes the most money? 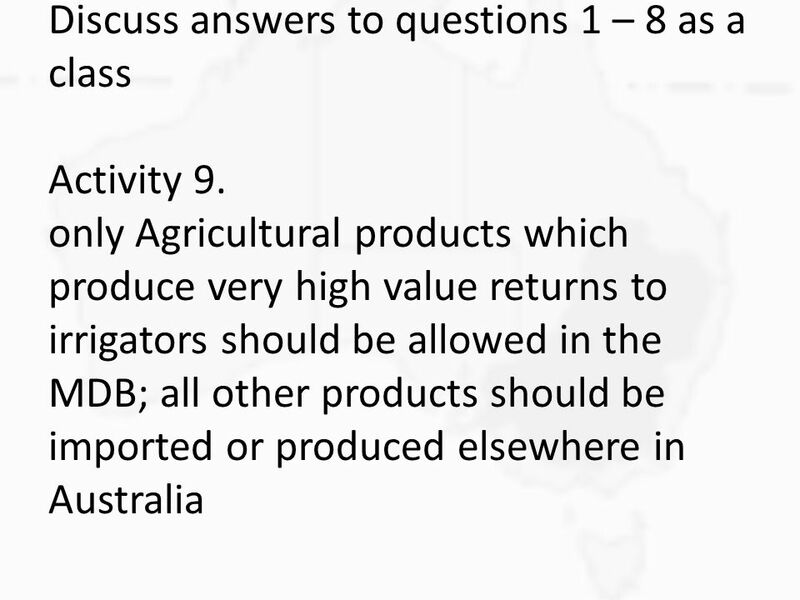 What has the best return? 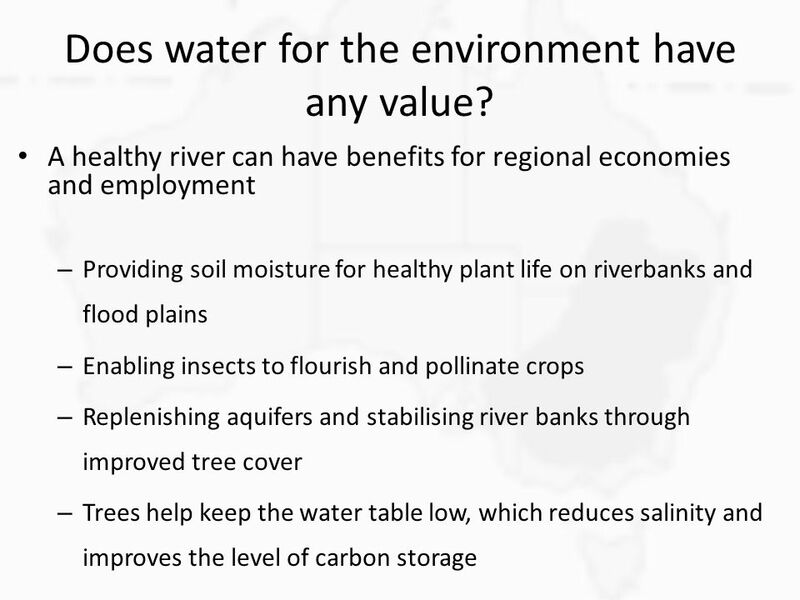 23 Does water for the environment have any value? 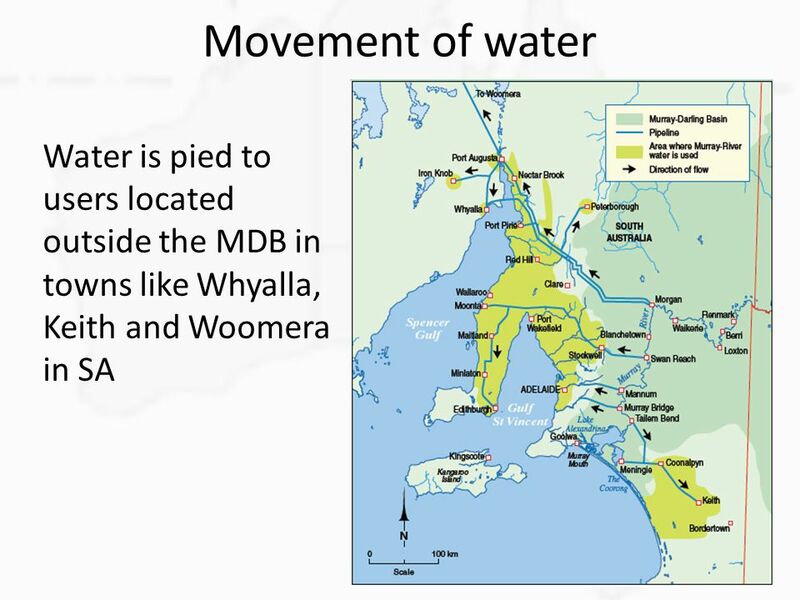 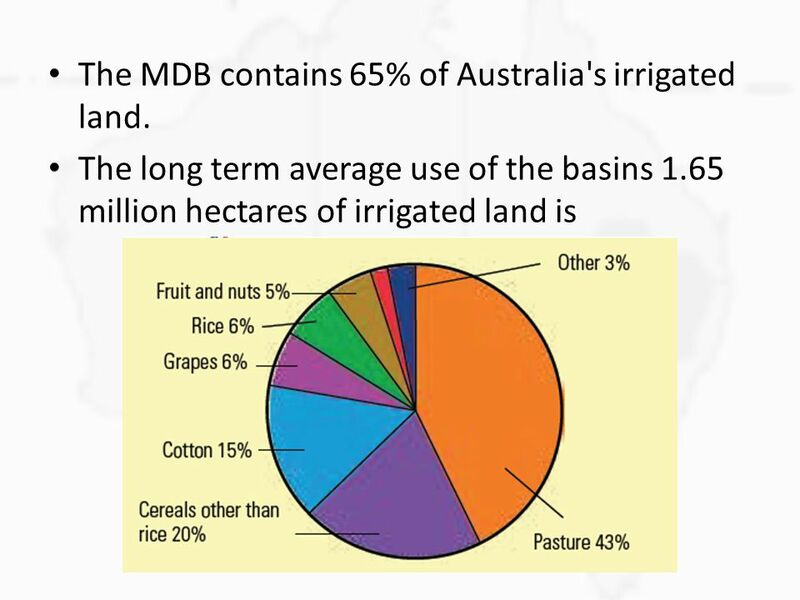 30 The MDB contains 65% of Australia's irrigated land. 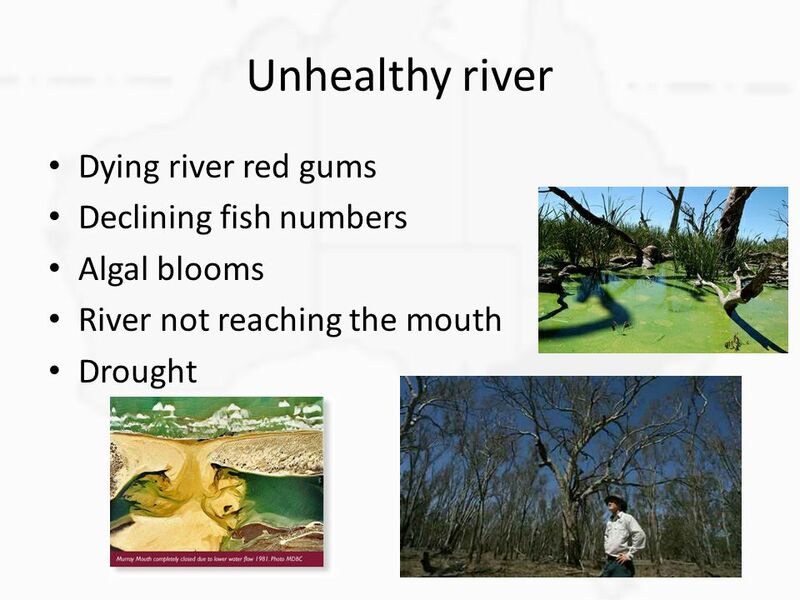 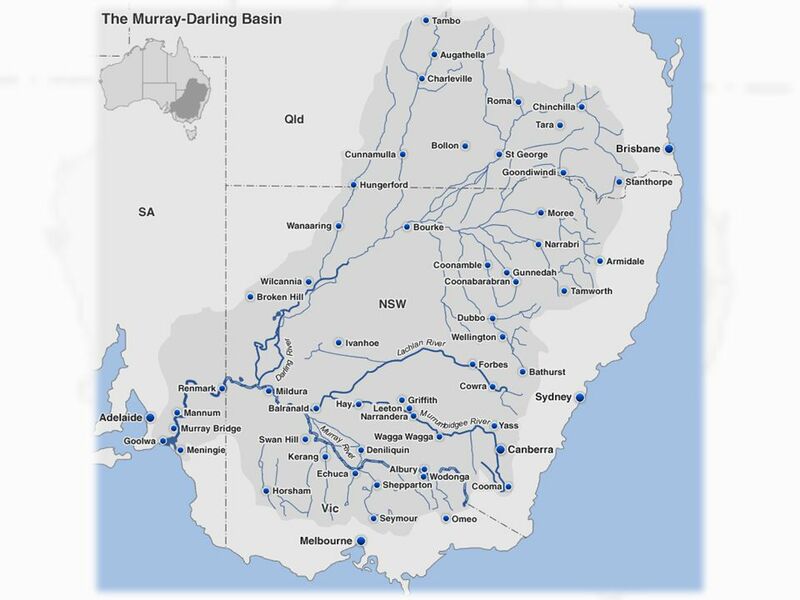 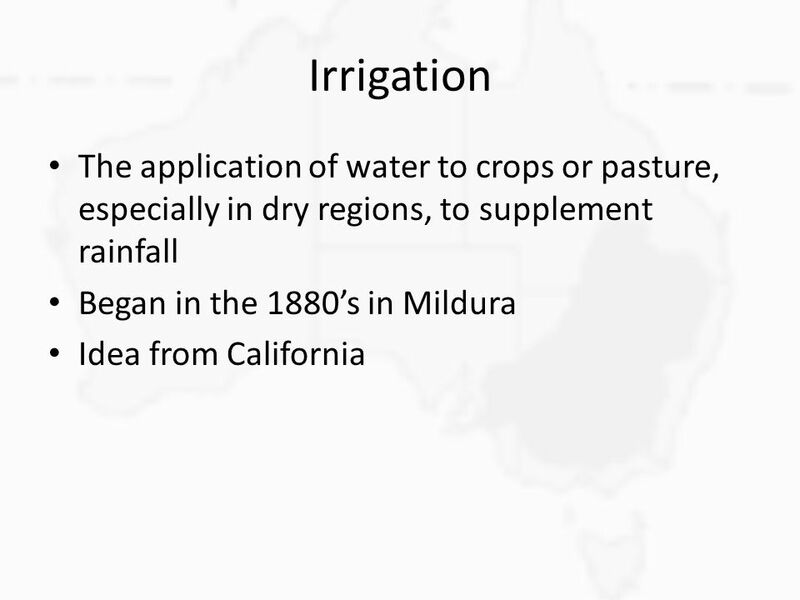 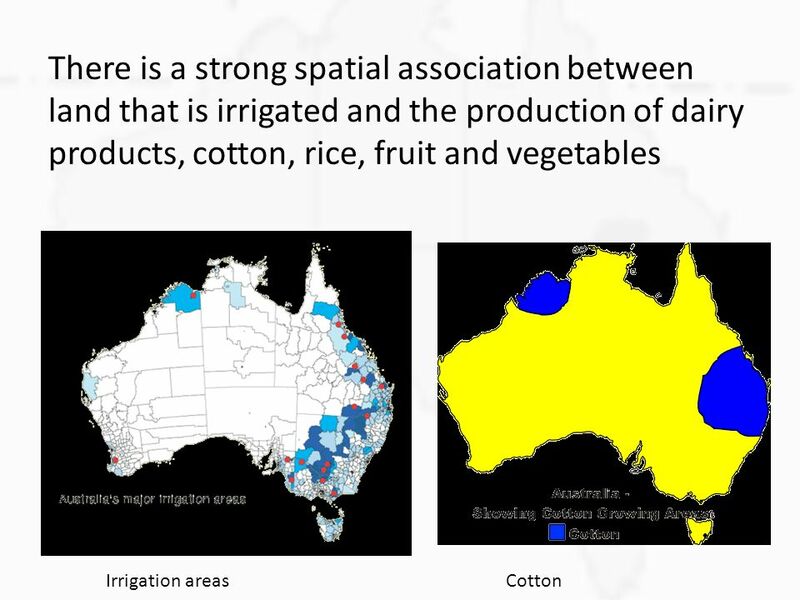 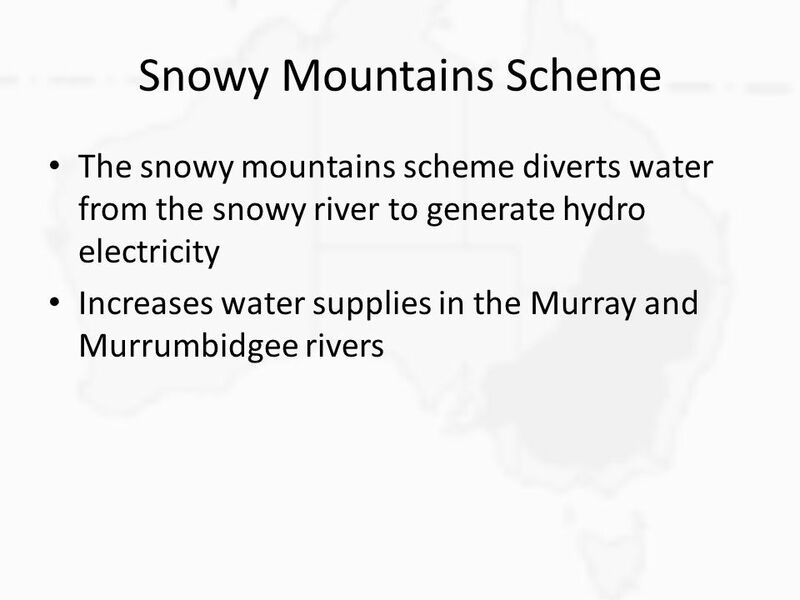 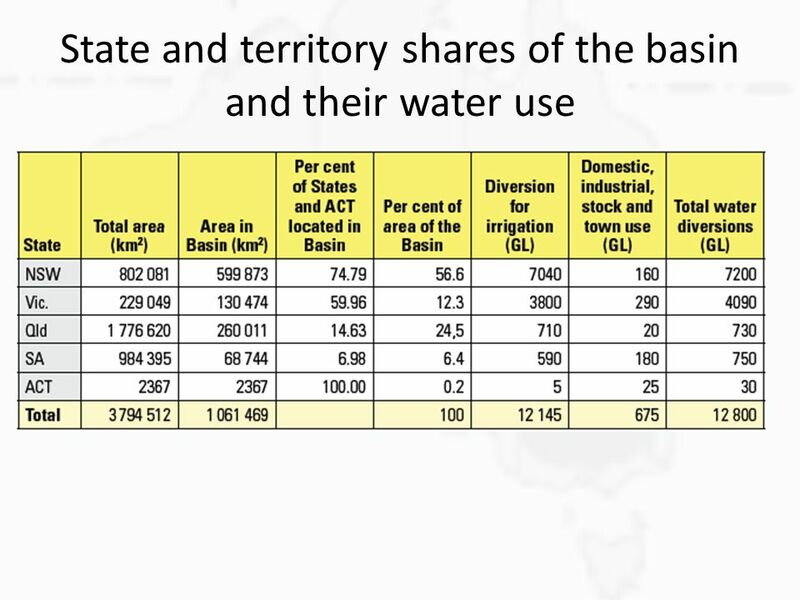 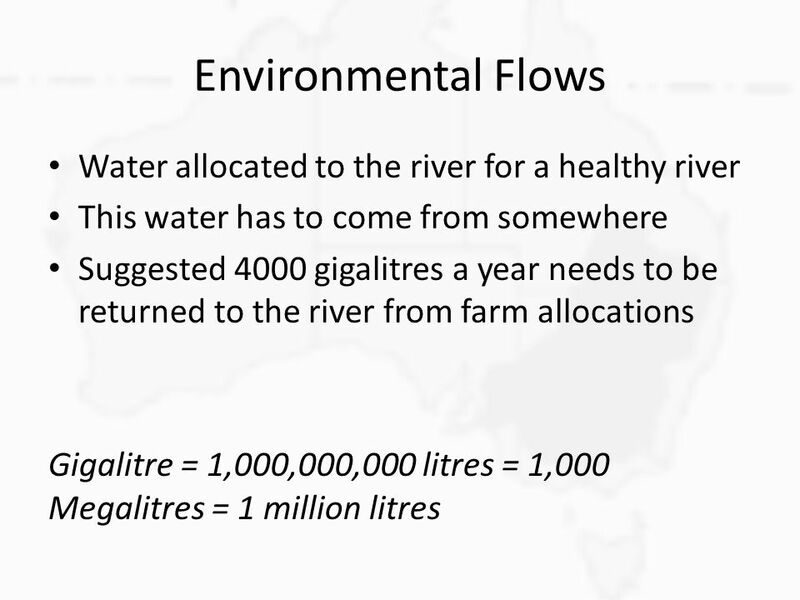 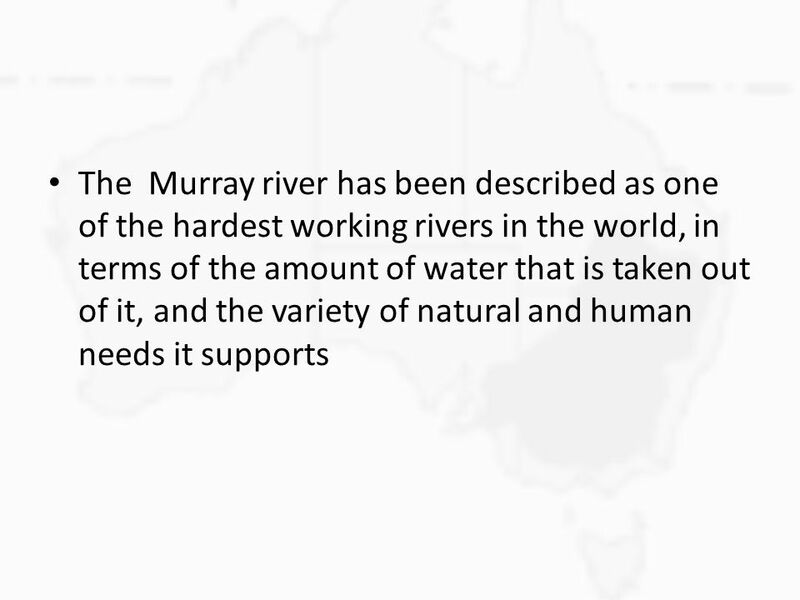 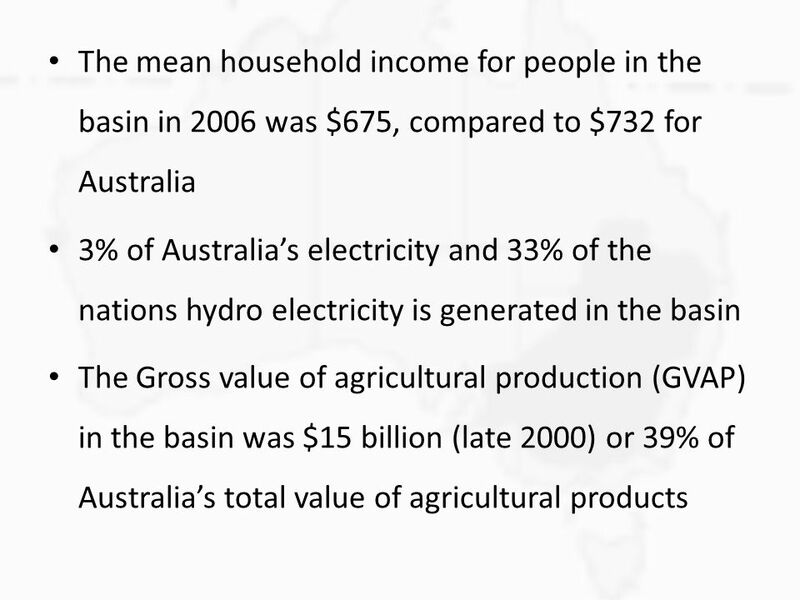 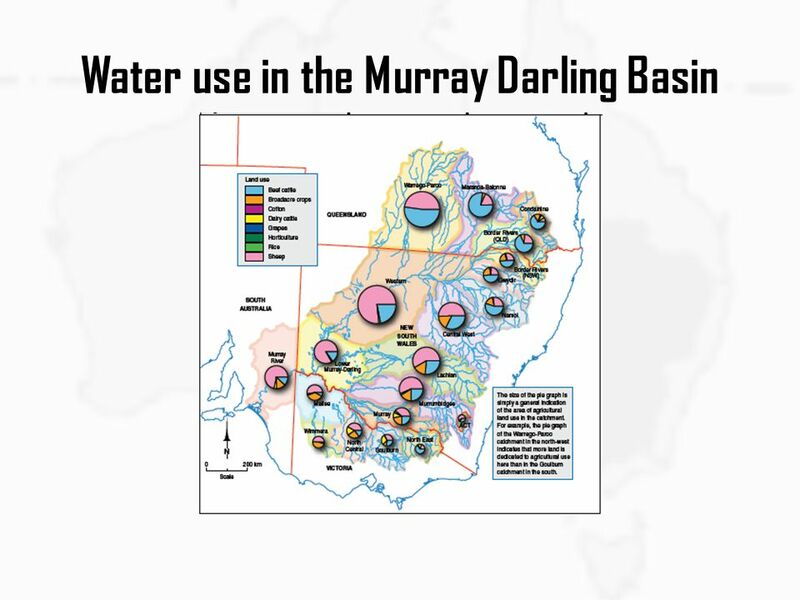 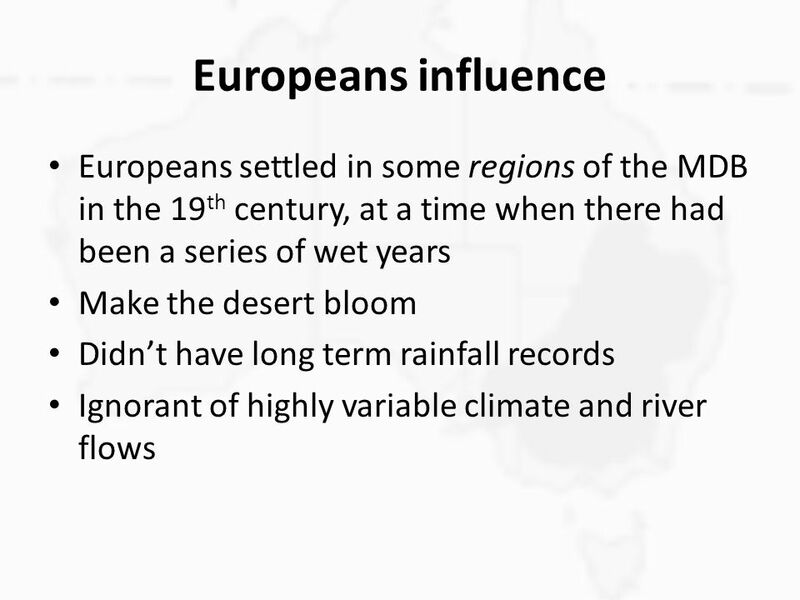 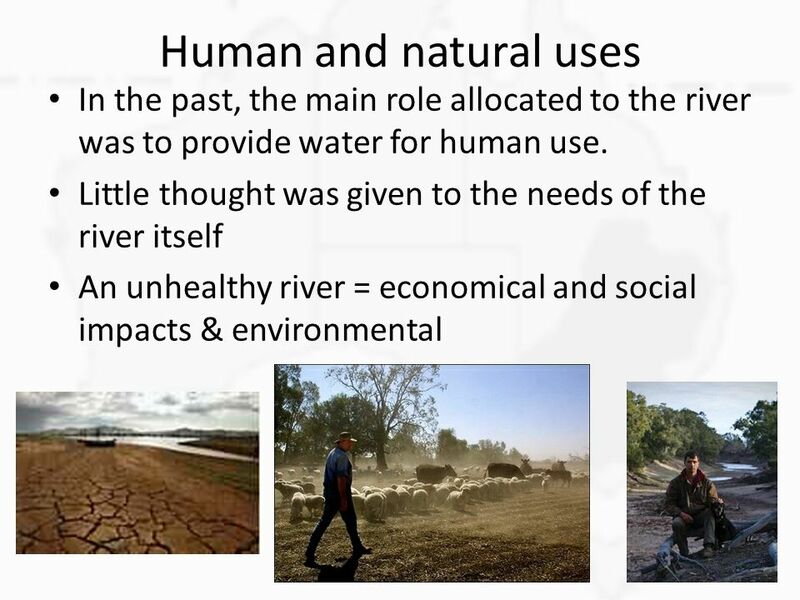 Download ppt "Water use in the Murray Darling Basin"
Murray Irrigation Urban myths and inland River Health George Warne General Manager, Murray Irrigation Ltd, Deniliquin NSW. 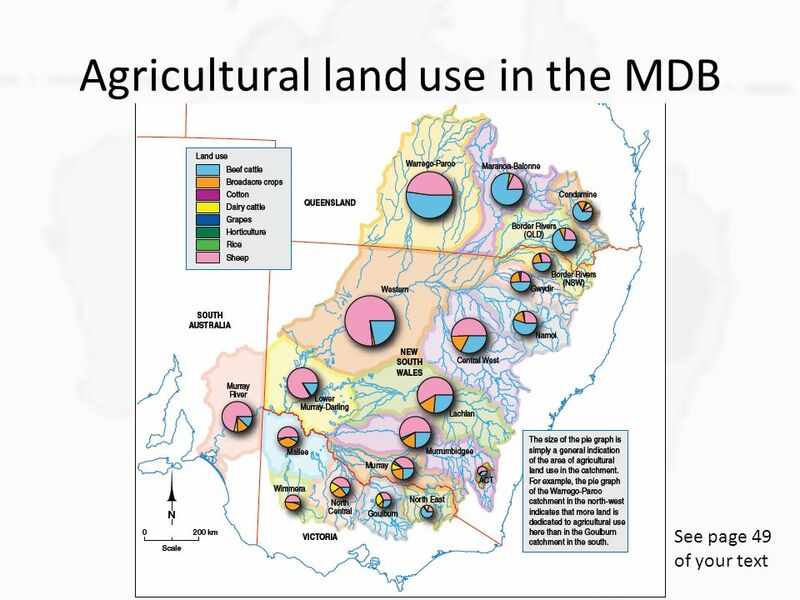 General MDB. 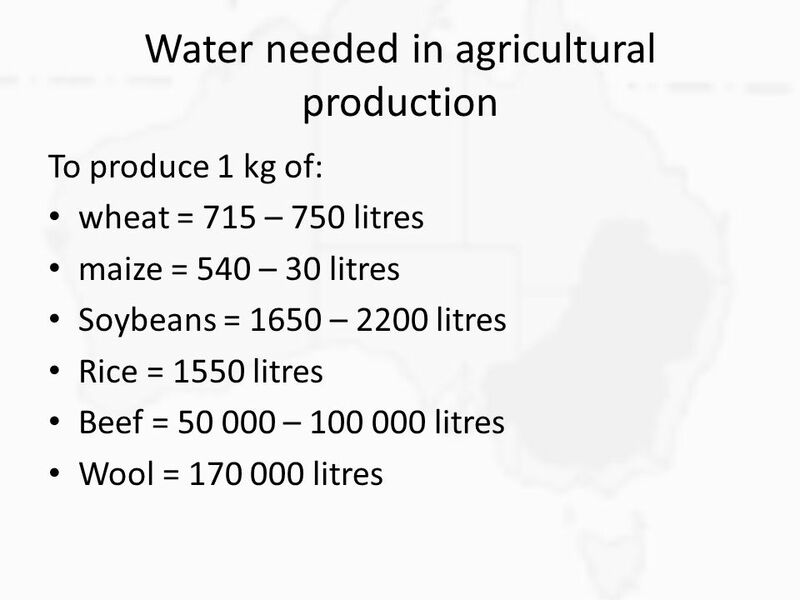 Importance of water as a resource Water is unevenly distributed There is a high variability in annual amount of rainfall. 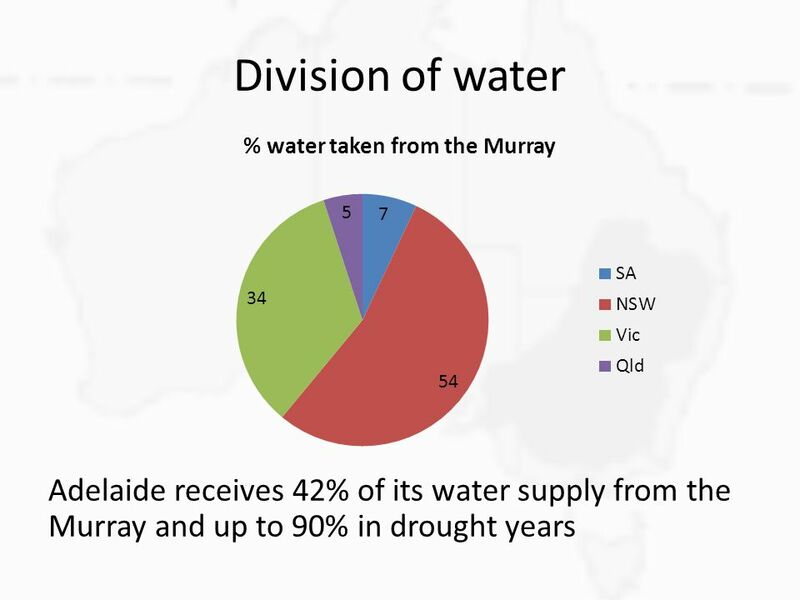 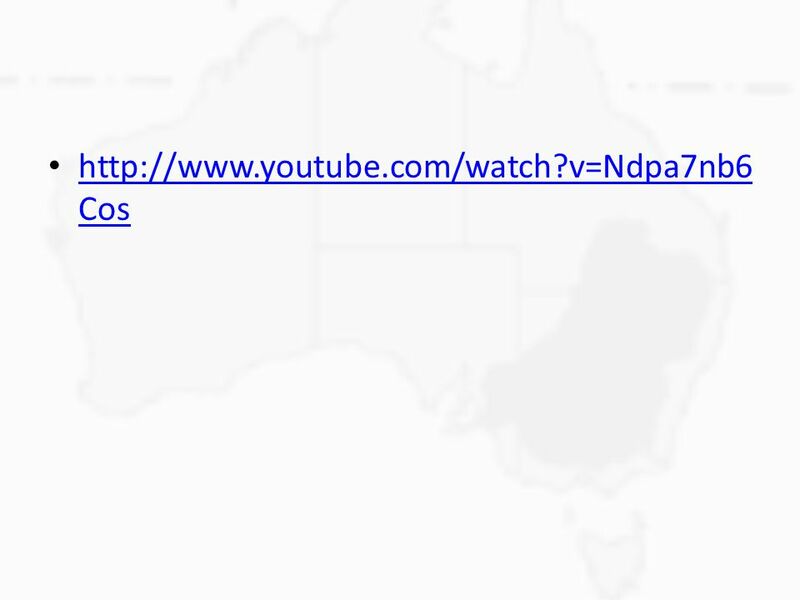 Australia's rainfall. 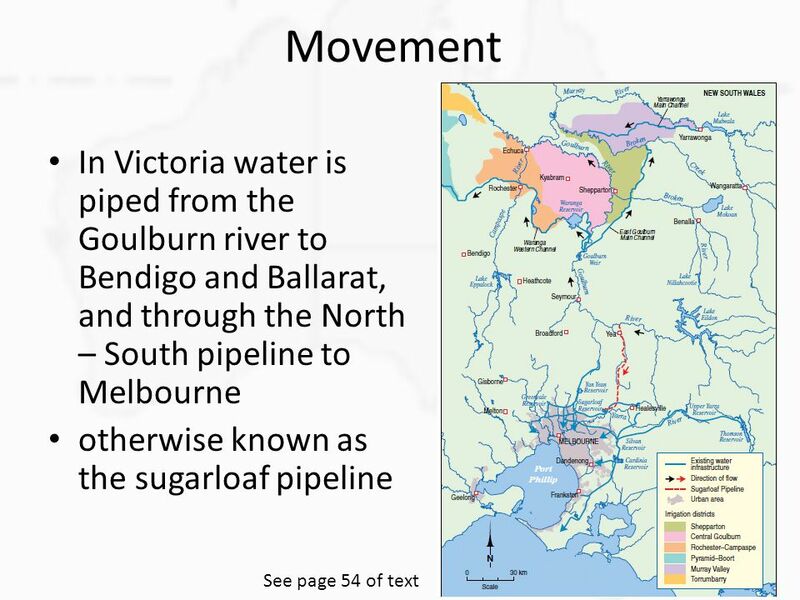 Lesson Overview 6.1 A Changing Landscape. 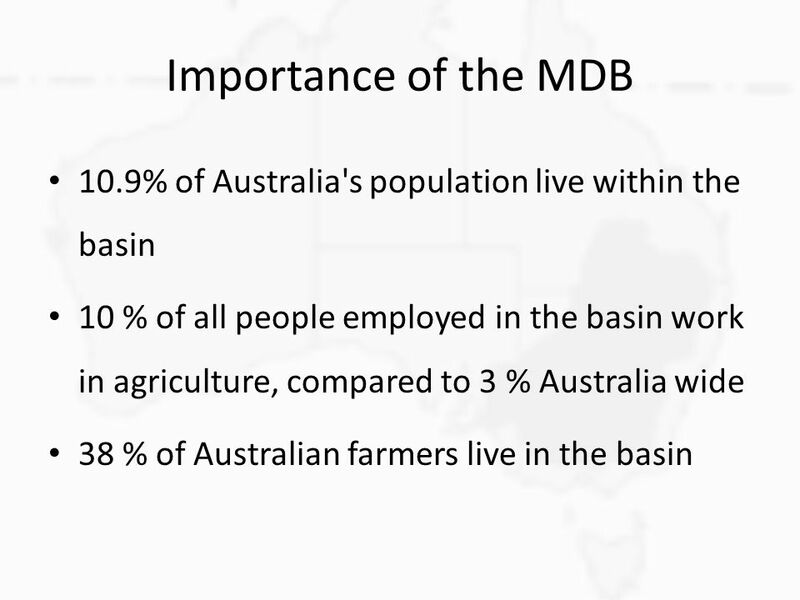 Geographic Characteristics of sub regions in the MDB. 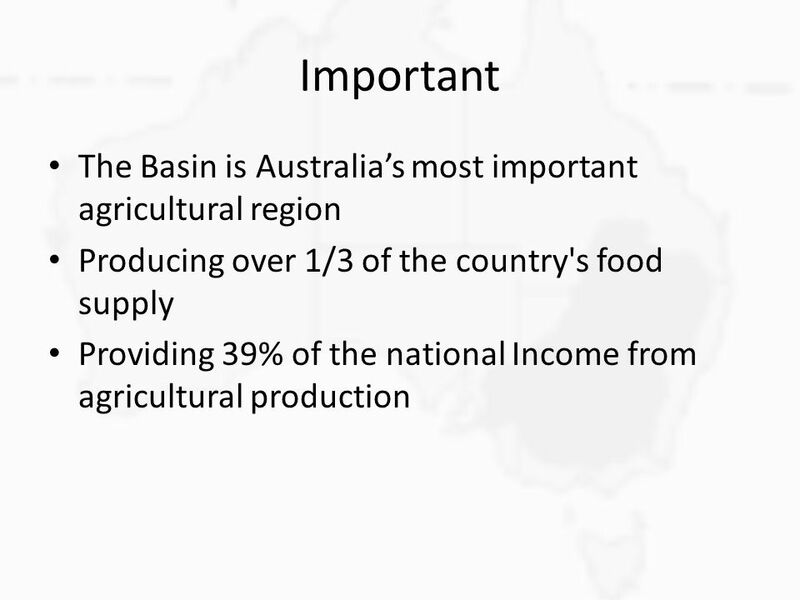 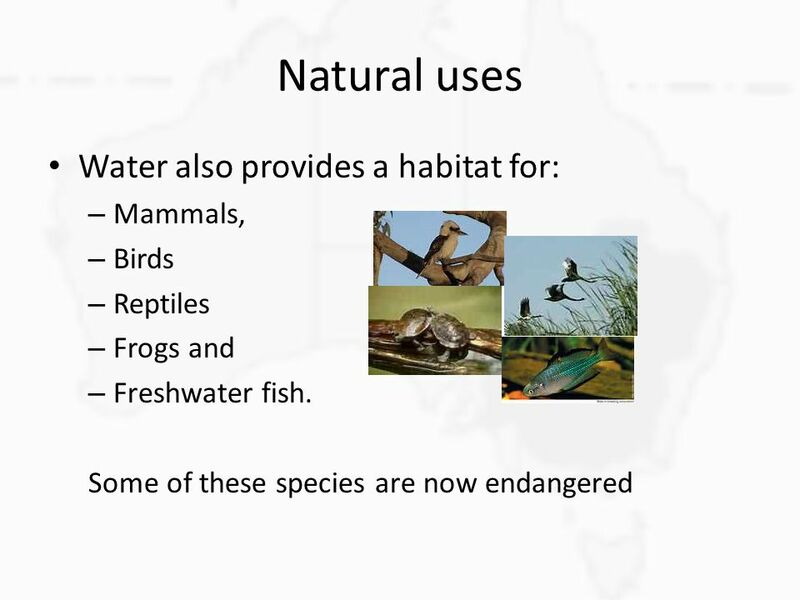 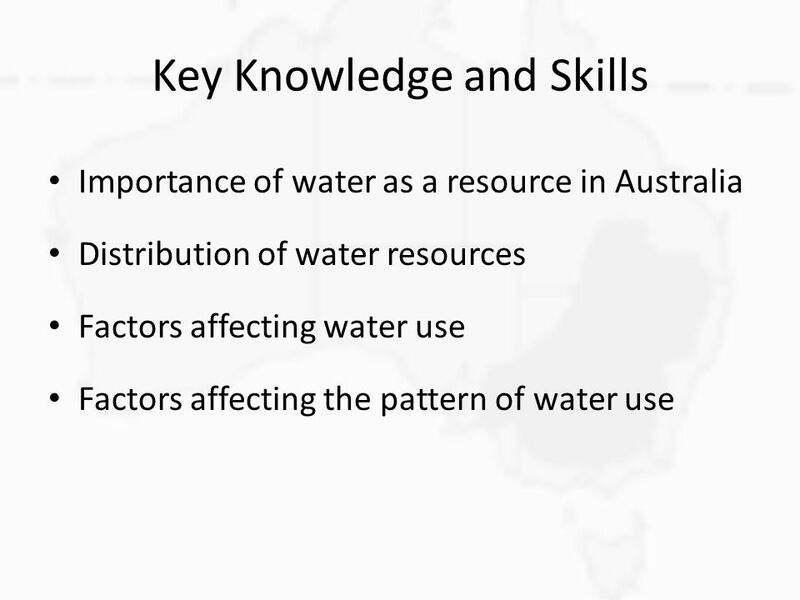 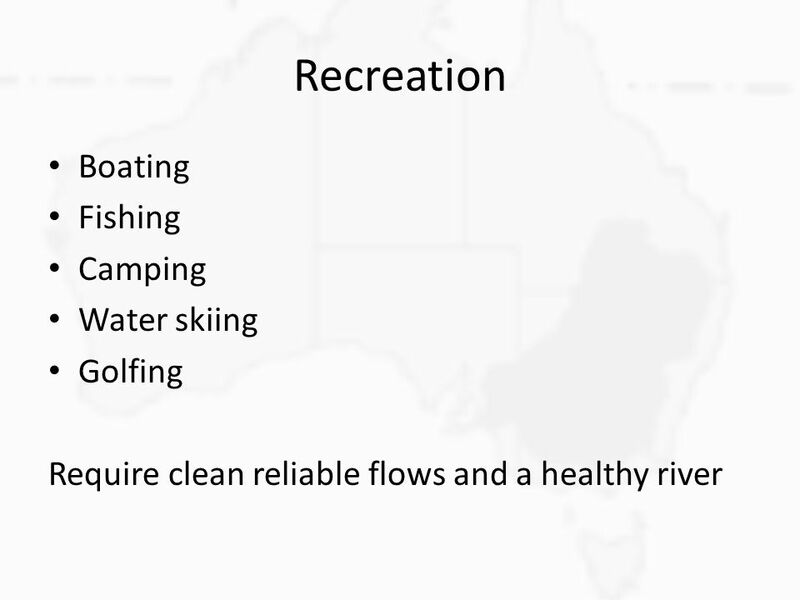 SAC 2a Unit 3: Regional resources AOS 1: Use and management of an Australian water resource. 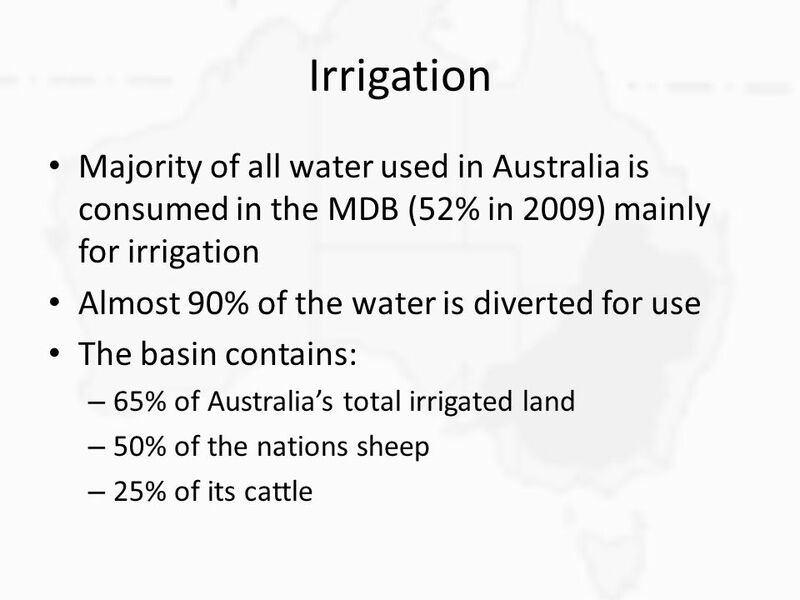 Why was it dammed? 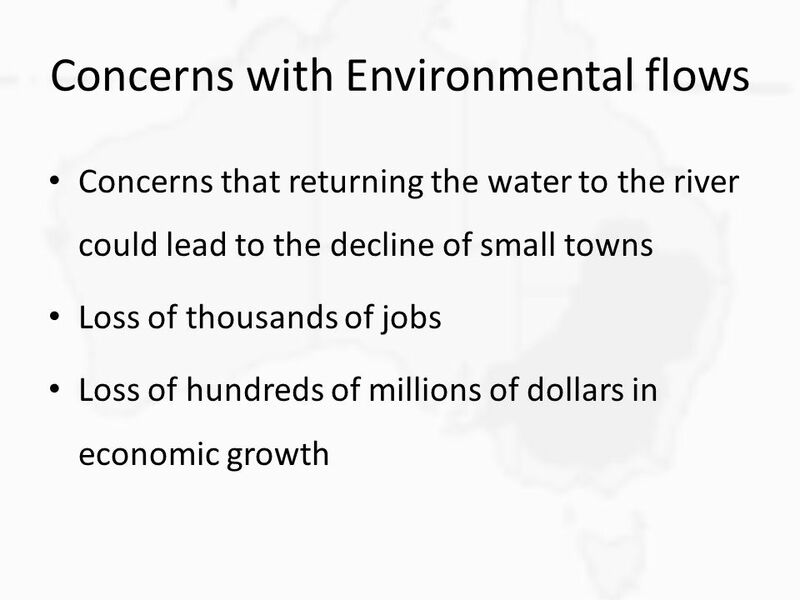 How has it affected the lives of the local people? 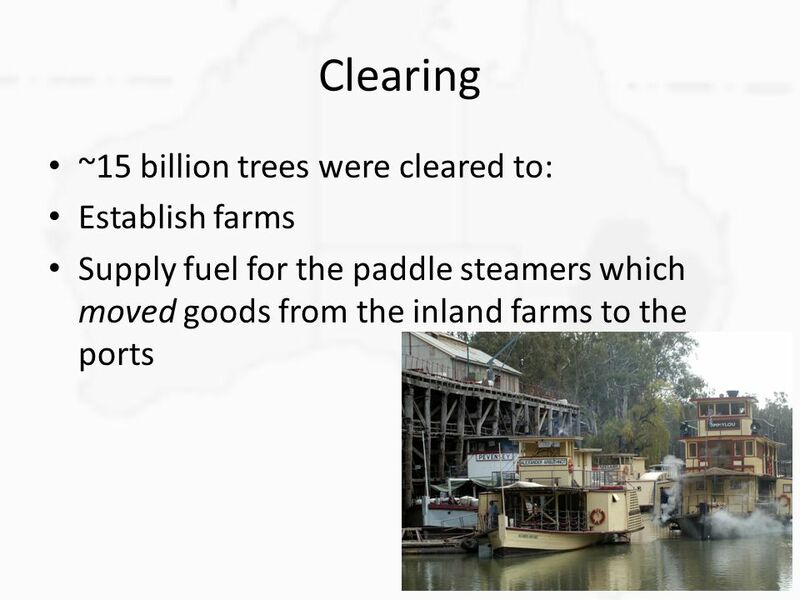 1 Elders Rural Services Mike Guerin, Managing Director 29 th August 2008. 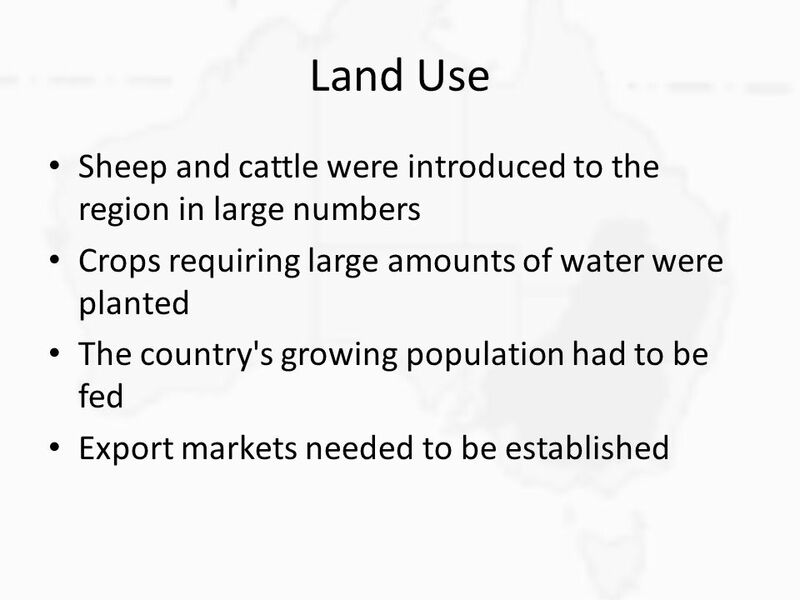 The Problem of Deforestation in Brazil By: Megan Schwarz, Derek Croad, and Andrew Sargent. 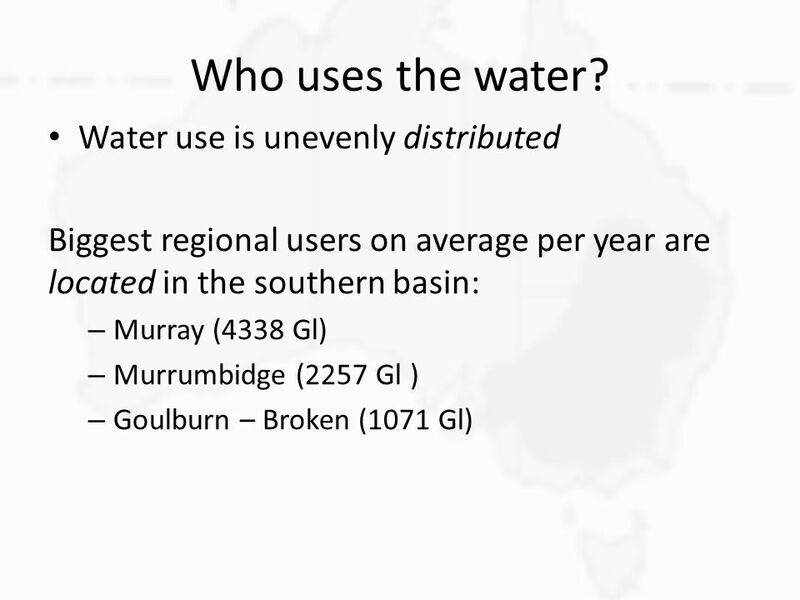 The use and management of water in Goulburn Valley. 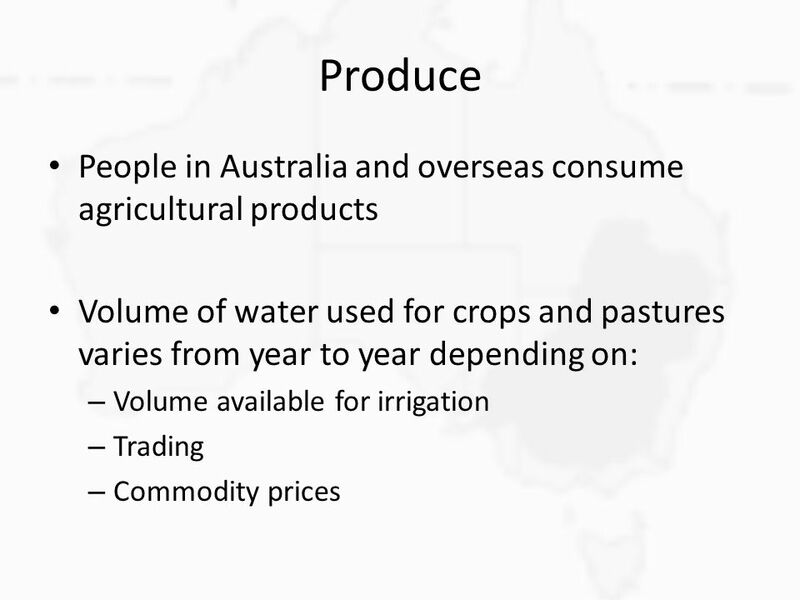 Agricultural Production in Australia Tom Loynachan January 30, 2008.